Hello and Happy Memorial Day!!! The last 2 weeks have been a little hectic and I didn't have a chance to practice what I have learned from Colleen who is teaching Copic classes at the store. 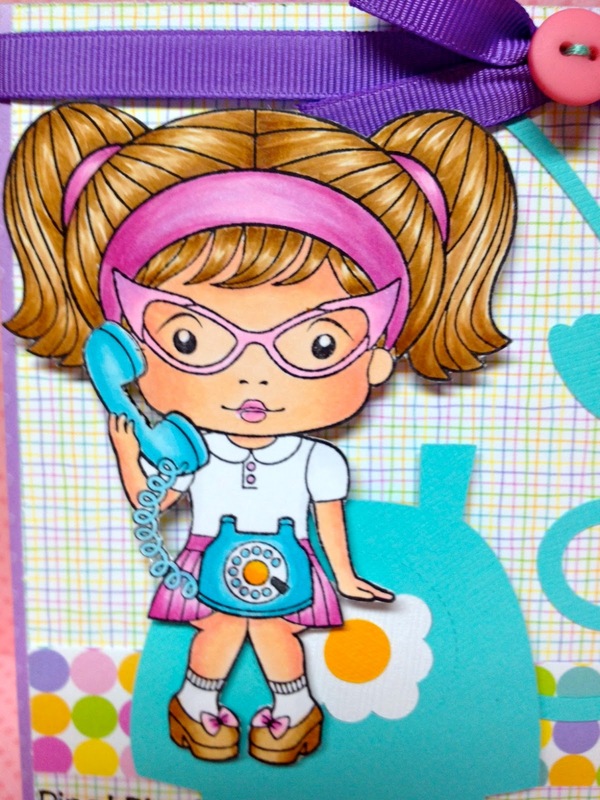 So I picked up this new LaLa Land Crafts stamp called "telephone Marci" during the week and thought I would practice coloring her. 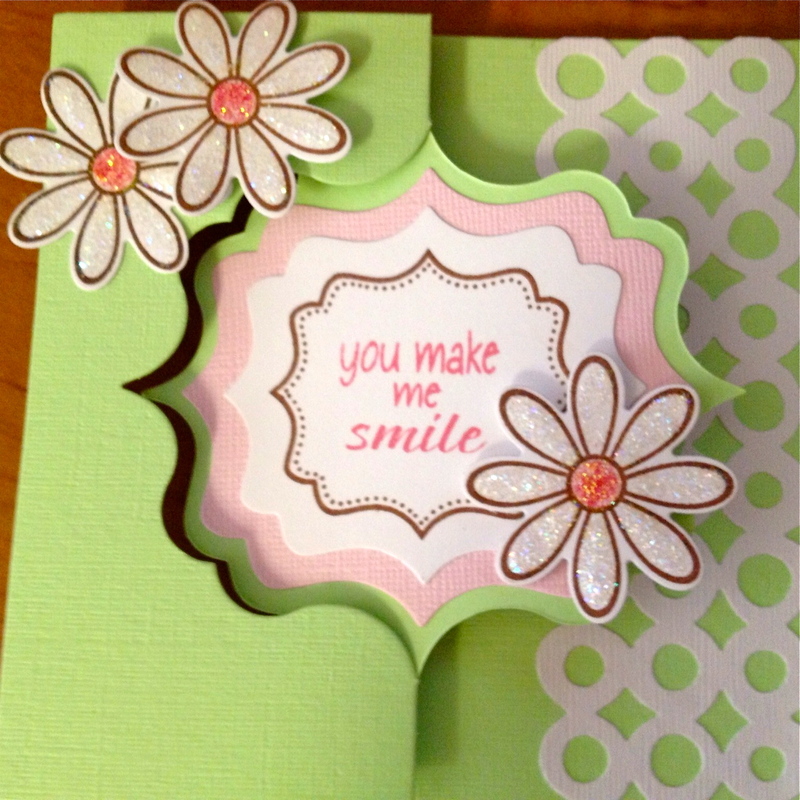 The card base is a Sizzix XL die called ornate #3. I cut the telephone out using the Eclips machine and cartridge boy & girl. The sentiment stamp is also from the same stamp set and I used VersaFine black ink. Thanks for stopping by and hope you're having a great Memorial Day holiday!!! Hi, I'm still here!!! I've been busy with Cheri from Sizzix in town. 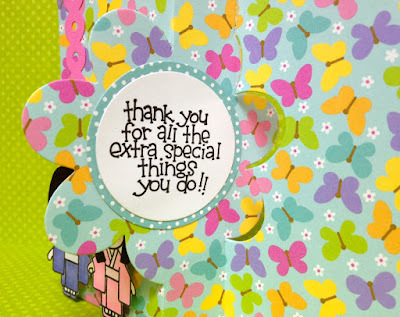 Here's a quick thank you flip it card that I made the other day. I used the Sizzix fancy frames flip-its die and fancy labels framelits and fancy frames #2 stamp set for the sentiment. The white border is a Tim Holtz die called washer border. Sorry forgot to take a photo of the inside of the card which says "thank you". 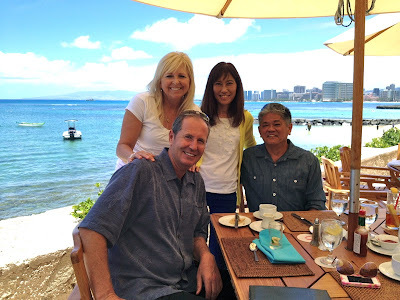 We went to brunch yesterday with Cheri and her husband at the Outrigger Canoe Club. Can you believe that all my years of living here, I've never been there??? It's a beautiful place to eat and look at the ocean. We have another busy week and we are flying to Hilo too. Thanks for stopping by and have a great week!!! It's been awhile since I last posted here. I worked on this card over the last weekend and then I got sick with either the stomach flu or food poisoning and now I'm feeling back to my normal self again. I picked up this Sizzix flower flip-it's die when it first arrived here and finally got a chance to make something with it. 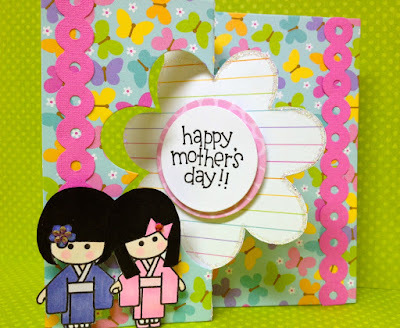 The girls are from the Dandelion Designs "friends" cling set. I had some extras leftover from a bunch of cards that I made for a card group that I'm in. The sentiments are older wood stamps also from Dandelion Designs. Paper is Doodlebug from the Hello Spring collection. I used Imagine Crafts - Memento black ink. It is one of my favorite inks these days. 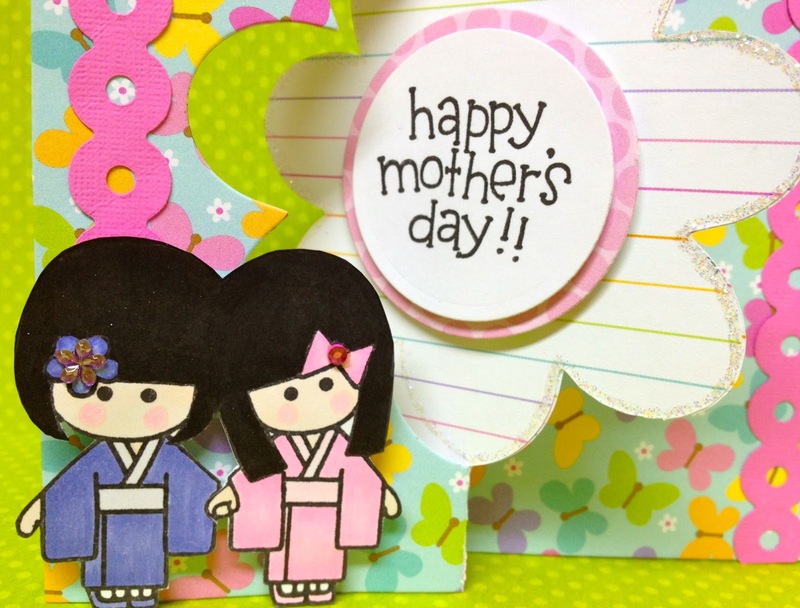 The pink border is from a Hello Kitty border die called ribbons. Thanks for stopping by and have a great weekend!! !